Indeed, Ballerini and her fellow country crooner Evans, 32, met in March 2016 when they cohosted an award show in his native Australia, and sparks flew instantly at the afterparty. Twenty-one months later, that yes turned into “I do” at their intimate, oceanside wedding. And the happy couple shared all the exclusive photos and details from their big day — dubbed the “Happily Evans After” wedding — with PEOPLE. For her beach wedding, Ballerini wanted a classic, simple, timeless ambiance. Walking down the aisle at the Esperanza luxury resort, the barefoot bride stunned in a flowing Berta gown, complete with a lace bodice and high slit. Her bridesmaids and Mom of Honor — Carla Denham — wore assorted pastel dresses by Monique Lhuillier from Vow To Be Chic and accessorized with David Yurman rings and earrings. The groom, his groomsmen and his best man (brother Tom Evans) rocked tan suits from Joseph Abboud. To plan their wedding, Ballerini turned to Nashville-based planner Jayne Bubis Events (she also handled Carrie Underwood‘s 2010 fête). Floral and event design was by Elena Damy. And so the details the bride and groom did spent their time focusing on were personal ones — like the “tequila theme” and their handwritten vows. 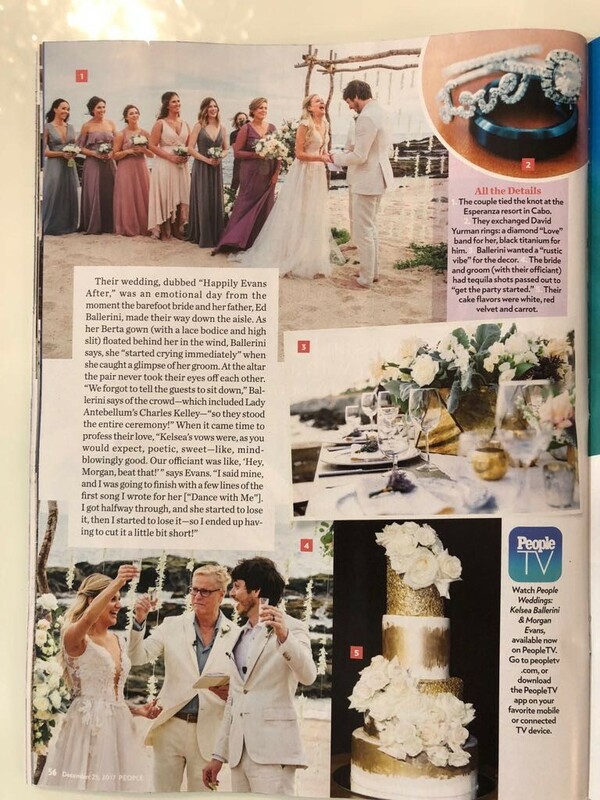 If you want to see more of their beautiful Cabo wedding, watch People Weddings: Kelsea Ballerini & Morgan Evans available on PeopleTV. 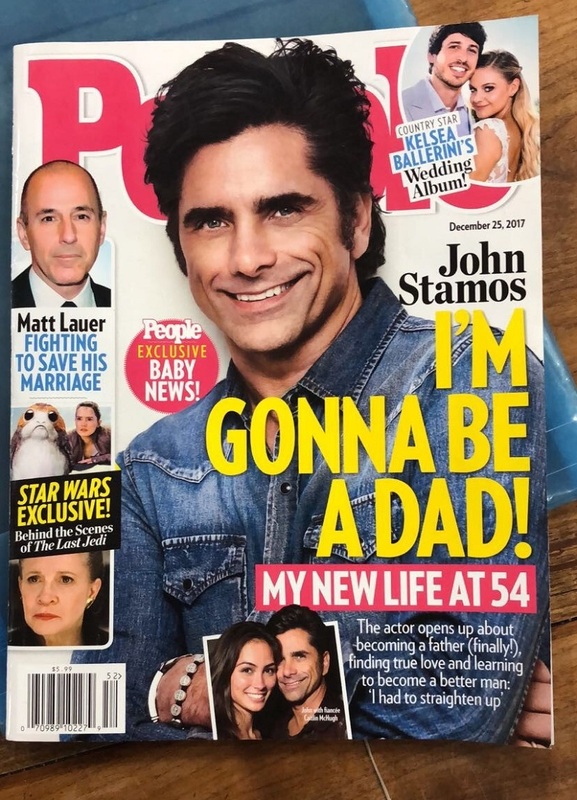 Just go to PeopleTV.com, or download the PeopleTV app on your favorite mobile or connected TV device. 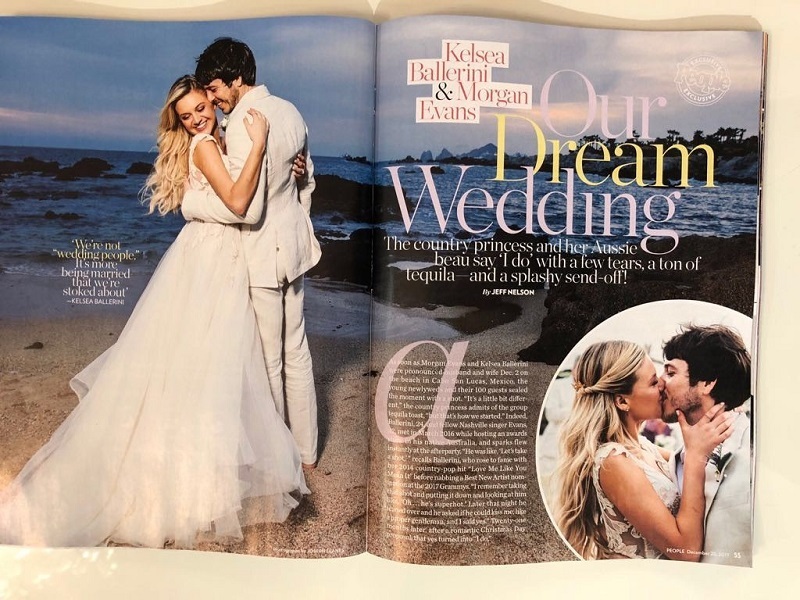 Otherwise, for much more on Kelsea Ballerini and Morgan Evans’s big wedding celebration, we encourge you to pick up the latest issue of PEOPLE MAGAZINE, on newsstands while supplies last!